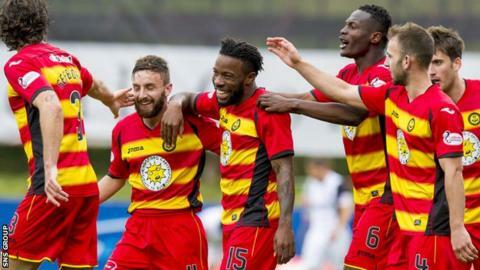 Mustapha Dumbuya has signed a contract extension with Partick Thistle which takes him up to May 2018. The 28-year-old Sierra Leone full-back moved to Firhill on a one-year deal in the summer after leaving Notts County. "I am glad it is over and done with," said Dumbuya. "It dragged on for a couple of weeks but I knew I wanted to sign." The defender has made 10 appearances for the Jags this season, scoring once in a 3-0 win over Dundee United.